Night shift workers are at a higher risk of being involved in a car accident due to fatigue. If you have been involved in an accident due to another’s negligence, contact The Hoffmann Law Firm, L.L.C. Drivers who are fatigued face many risks similar to the ones faced by drunk or drugged drivers. Driver fatigue can result in delayed reaction time to obstacles or objects on the roadway, impaired judgment, and even lane departures if the driver sleeps behind the wheel. So, it is extremely important to take proper rest before getting behind the wheel. However, night shift workers are not generally able to stop and rest before driving home, which increases the risk of a drowsy driving accident. When a driver causes an accident because of fatigue, he/she can be held responsible for the resulting injuries and losses. 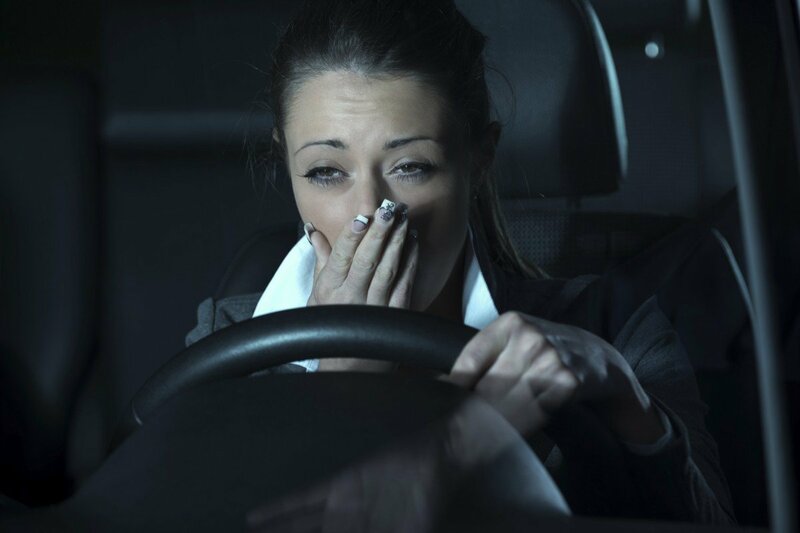 Night shift workers should be aware of the risks associated with drowsy driving and should try to take appropriate precautions to avoid accidents. There is ample research available to prove that night shift workers are at a higher risk of being involved in a car accident. A recent article published in Sleep Review Magazine has warned of the dangers of drowsy driving among night shift workers. A comprehensive study of nighttime workers was conducted, and workers were asked to participate in a simulated driving test both after they have worked for more than 7 hours the night before the test and after they had taken a full night’s sleep. The driving test was conducted at the same time each day. The only difference was whether the worker has worked the night shift or not. The driving ability of the drivers was then measured in a two-hour driving session to compare the driver’s ability to drive safely after working their shifts and after a good night’s rest. The research highlighted that there was a significant difference in the performance of the drivers when they had worked a night shift versus getting a full night’s sleep. It was seen that more than 37% of the participants experienced a near-crash situation when driving after working a night shift. A 1/3 of the drivers who had worked a night shift, had to slam on the breaks at least once during the driving test and almost 1/2 of them had to terminate the driving test early after working a night shift because they could not control their cars. Researchers used a variety of measures to gauge how fatigued the drivers were. They recorded when the driver’s eyelids closed partially and they also recorded microsleep episodes in drivers. These metrics showed that the drivers showed signs of fatigue within 15 minutes of starting the driving test. If you or a loved one have been involved in a car accident due to another’s negligence, contact a St. Louis Auto Accident Lawyer at The Hoffmann Law Firm, L.L.C. With more than 15 years of experience and thousands of successful cases to his credit, car accident lawyer Christopher Hoffmann focuses his practice exclusively on handling injury claims arising out of car accidents in Missouri and Illinois. Call our office today at (314) 361-4242 or contact us online to schedule a free initial consultation.